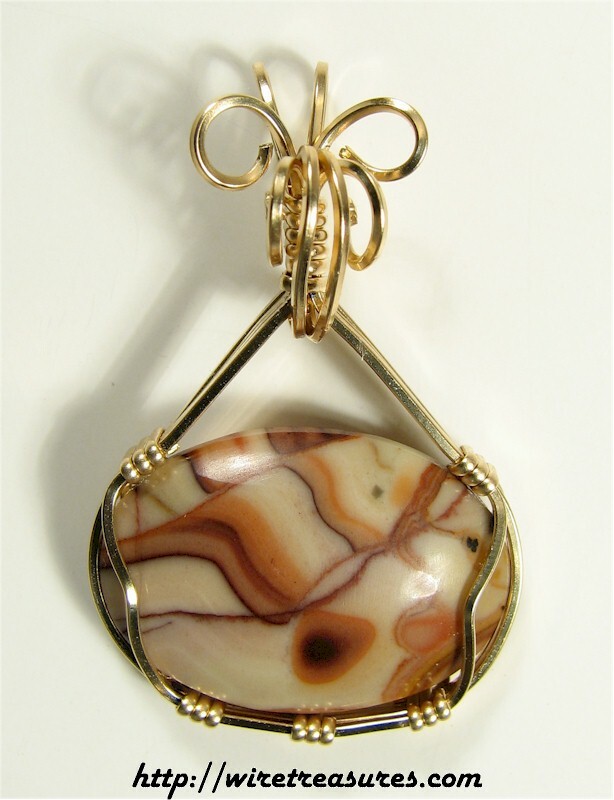 This little pendant has a Picture Jasper oval and a 14K Gold Filled wrap with a flowery topper. Little and different! This pendant is 1-5/8" high and 1-1/8" wide. You are visitor number 6,723 to this page.